Facebook Graph Search – How Should Your Dealership Prepare? I’ve written in the past about optimizing your Facebook business page for Facebook Graph Search. Graph Search is Facebook’s most recent search tool iteration, helping users make connections to existing people and places that were previously difficult to find. With a clean interface and natural search capabilities, Graph Search unlocks the massive amount of data logged into Facebook by individuals and businesses each day. Even though Facebook CEO Mark Zuckerberg has emphasized that Graph Search is “not Web search,” many would agree that this is Facebook’s attempt to compete with Google. Unlike Google’s current search algorithm, Graph Search relies on social interactions to build its search database. Today, businesses can be optimized for the current Graph Search tool. 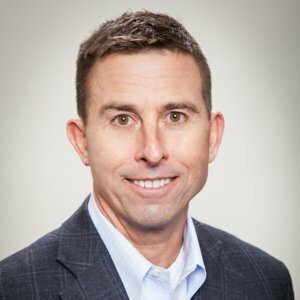 For dealerships, this involves: listing the dealership as a business instead of a person and once listed as a Facebook business page, selecting relevant business categories. Since Graph Search currently only searches business names and categories, these two steps are the most critical today. What about the next step? How should dealerships prepare for the evolution of Graph Search in the future? Over time, Facebook will index more than business names and categories. Instead, it will begin to index more of the content on dealership business pages. While Facebook needs to balance Graph Search with privacy concerns, publicly available information is fair game. Make sure your dealership’s Facebook business page has relevant, keyword rich entries in both the “Short Description” and “Company Overview” sections. In the way websites are optimized for SEO, Facebook business pages should use words that the average consumer would use in search. Since Facebook is using EdgeRank to prioritize search results, both dealership business pages and individual posts need plenty of likes. EdgeRank is Facebook’s proprietary algorithm for deciding which content will appear in people’s news feeds, and how it will be ranked. EdgeRank examines the level of engagement for individual posts as well as the sources of that engagement. The more likes, shares, and comments a post receives, the higher it will rank. When consumers engage with a specific dealership, that dealership’s posts have a better chance of appearing in the news feeds of those car buyers. 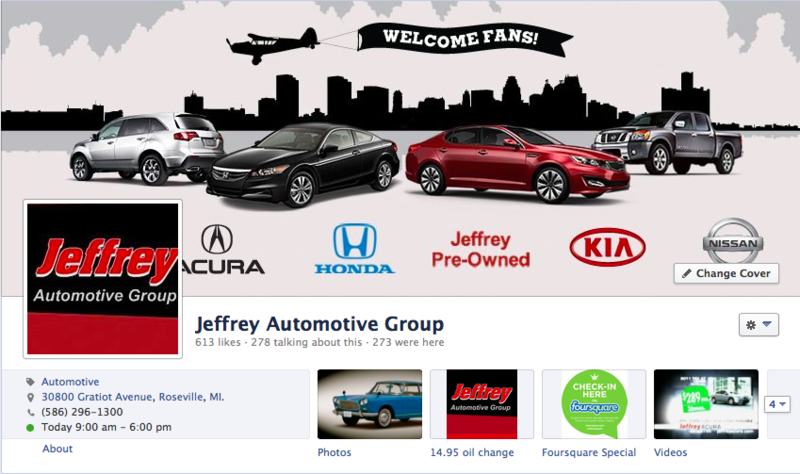 For dealership business pages, the value of a Facebook like continues to grow. With Graph Search, places liked by your friends are weighted as more relevant than those liked by individuals you don’t know. Dealers should focus on not only growing the business page’s fan base, but generating an increasing number of likes from friends of fans. There are many tried and tested ways to generate more fans and likes, including organic and paid promotional campaigns. Another great way to build your Facebook network as Graph Search evolves is to encourage more Facebook check-ins at your dealership. Visitors to your dealership end up notifying their social networks of your brand and physical location at no cost. Dealerships can encourage check-ins by building Facebook Offers that are redeemed with each check-in. The goal for dealerships should be to drive your listing to the top of Graph Search. In order to do this, it helps to have increasing fans, likes and check-ins. Think strategically about how traditional website SEO, along with Graph Search optimization, can create a successful marketing loop for your dealership. Strong website SEO can feed people into your Facebook page and generate more likes. 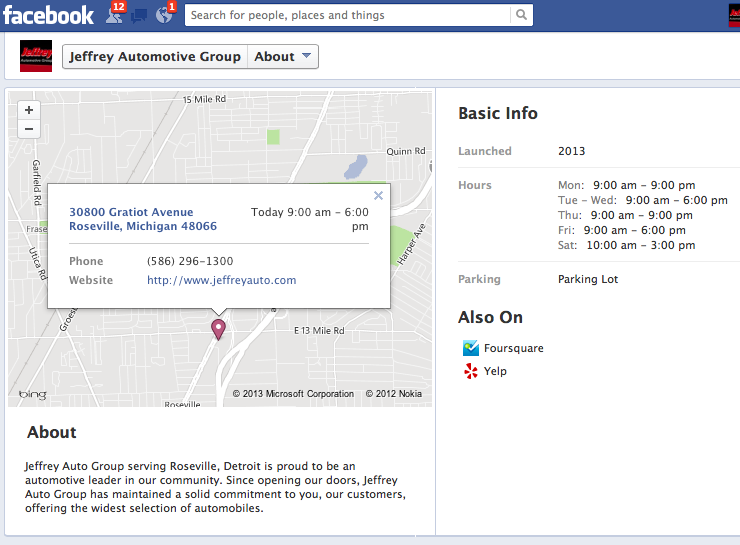 Additional Facebook likes improve Graph Search ranking, which then channels new traffic back to the dealership’s website. Google brings in likes for Facebook. Facebook drives new visitors to your site. Images continue to grow in importance in Social Media, and Facebook is no different. Posts and pages with images generate more attention, likes, comments, and shares. Geo-tag all uploaded images with city and state information so they can be found in location-based searches on Graph Search. Regardless of whether or not a consumer indicates a location in Graph Search, Facebook automatically prioritizes businesses that are closest to the user’s location. This is especially evident on mobile devices. If customers or employees are posting images to your business page, ask them to geo-tag those images as well. A potentially negative impact of Graph Search may lie within dealership employees. Specifically, current or former employees of your dealership, and what their individual online profiles reflect. The natural language search function of Graph Search allows an endless number of combinations, meaning that employees of your store that like controversial interests, books, movies, etc, on Facebook could reflect back on your dealership. A search like the one below reflects unfavorably on any store. This may call for future HR policies for your employees when it comes to tagging your dealership as their current or former employer. While global adoption of Facebook Graph Search takes time, there are many who already find the tool extremely helpful. As with many other digital marketing strategies, the key is to focus on the low-hanging fruit; easy steps you can take to optimize your online presence. The next step will be to create compelling strategies and campaigns to increase Graph Search engagement. To be successful with Graph Search, there’s no substitute for creating unique, engaging, and relevant content that will appeal to your current and future fans. Are you ready for Facebook Graph Search? Indeed, I find this tool extremely amazing! Thanks for this post, great job!